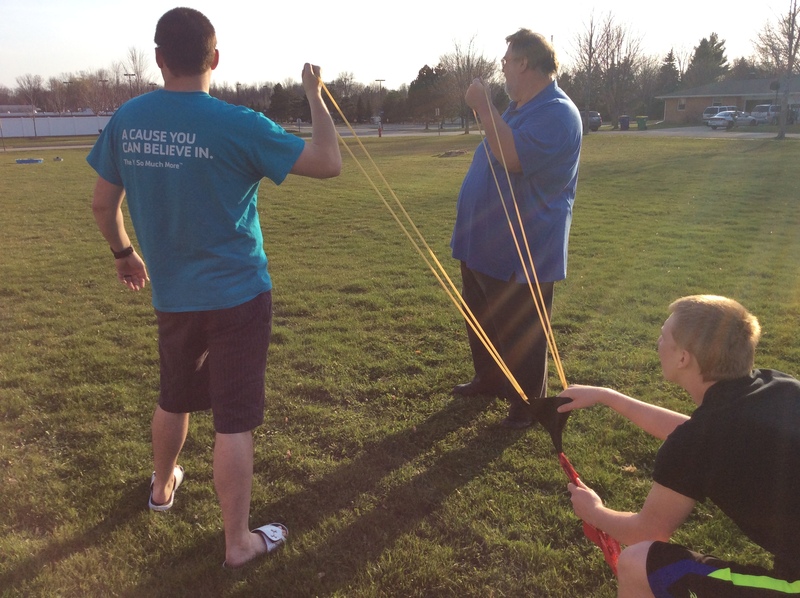 You probably have some water balloon launchers lying around and have wondered… Are these things only good for launching water balloons? Well today you have to wonder no longer. Welcome to Ducks Away!! Get ready to launch some Rubber Ducks farther than you ever thought possible! 1. 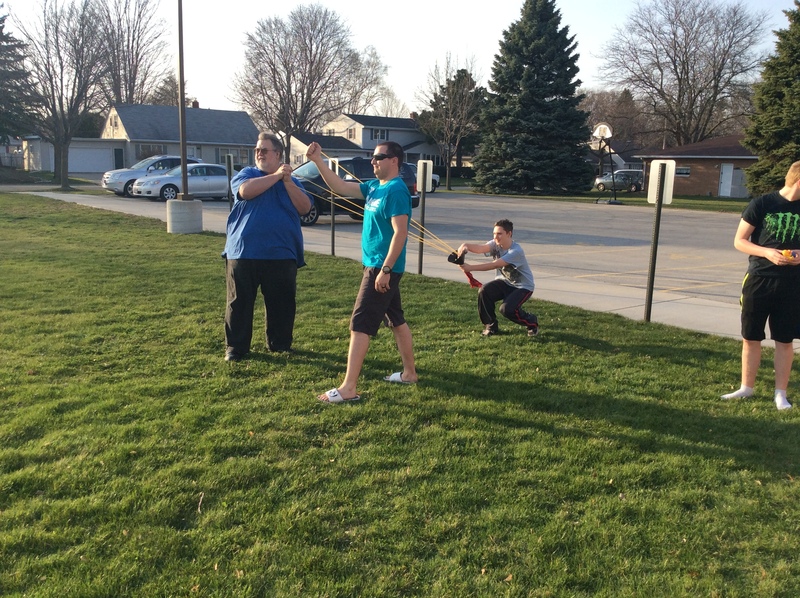 Water Balloon Launcher. You can make your own with a funnel, handkerchief and Latex Hose from a hardware store or purchase some on Amazon HERE. 2. Rubber Duckies. Wherever you can buy a lot of Rubber Duckies or just ask parents at your church with young children to donate their old bathtub toys! 3. Kiddie Pool. You can pick one up at most places now-a-days. I would suggest definitely getting the plastic sided one as they work well for this game! Fill up your kiddie pool and find a good distance for your students to launch them and still have a chance of making it into the pool! There are many different ways to play this game. You can purchase multiple kiddie pools and have them scattered throughout the yard, each pool worth different points. Each team gets a certain allotment of rubber duckies and the team that racks up the most points with their rubber duckies is the winner! You can also do the same thing with just one kiddie pool. 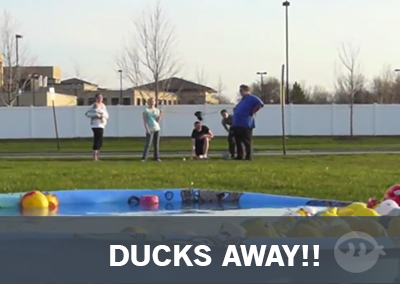 The team with the most ducks in the pool at the end of the game then becomes your winner!